How do earthworms impact forests? This leaf eaten by worms shows the changes earthworms can cause. 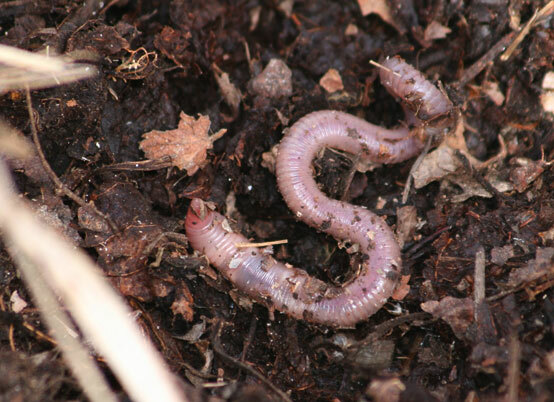 Most people think earthworms are good for soil but that’s not true in all cases. Research shows that small mammals, birds, salamanders, invertebrates, and plants can be harmed by earthworm invasions in forests. Earthworms are helpful in farms and gardens because they promote nutrient cycling and soil structure development by breaking down organic material. In forests, these same activities can harm organisms that rely on a thick leaf litter layer on the forest floor. Depending on the earthworm species that invades, the entire leaf litter layer may be removed following an invasion. Learn more about impacts at Great Lakes Worm Watch. Dendrobaena octaedra, an epigeic species. It is the most common earthworm species in northern Alberta. The smallest earthworm species (about 3 cm when mature), which are consequently not normally used as fishing bait, are called epigeic earthworms. They live and feed in the leaf litter layer. They are easily moved by vehicles or animals because their cocoons (egg cases) occur near the surface of the soil. The earthworms that you dig out of your garden to use for fishing bait are probably endogeic earthworms. They are larger in size (3 – 12.5 cm long) and lighter-coloured than epigeic species. They live and feed in the mineral soil below the leaf litter. Lumbricus terrestris, an anecic species. 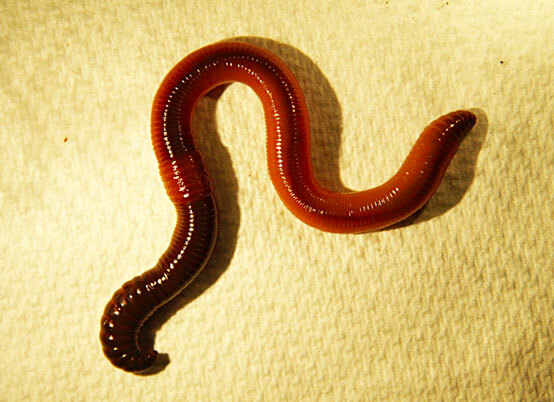 The main type of earthworms sold as fishing bait in Alberta are anecic earthworms. They live in deep burrows (~1m) and feed on leaves at the surface of the forest floor. They are large (12.5 – 20 cm long) and are commonly known as “night crawlers”. They create bumps in lawns due to the piles of dirt that they leave around their burrows, which are called “middens”.